I'm super excited about this giveaway, mostly because I wish I could win it! 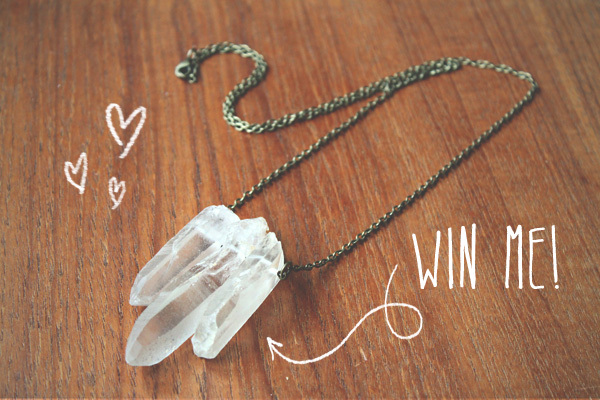 Moorea Seal is offering this beautiful triple quartz spike necklace to one lucky reader! 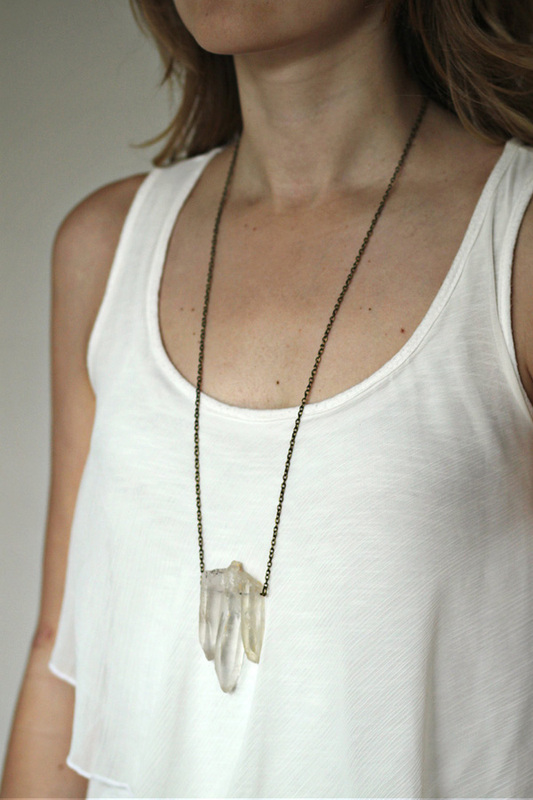 I have one of Moorea's trademark chevron necklaces, but this necklace is definitely next on my list. I don't wear a lot of jewelry, but necklaces are the one thing I do enjoy wearing, so I'm always on the lookout for interesting, statement pieces, and Moorea makes great conversation-starter jewelry. To enter the giveaway just follow the instructions in the box at the bottom of this post! You've got three ways to enter, so you can increase your chances of winning this beaut'! The giveaway will be open for entries until 11:59 pm on Saturday, December 15th.